The State Bank of India (SBI) has released admit card for candidates who have applied for the position of SBI Clerk 2018. The admit card has been released on June 06, 2018, and will be ending on June 30, 2018. The selection for SBI Clerk 2018 will be made on the basis of two examinations: Preliminary Examination and Main Examination. With the issuance of the admit card of SBI Clerk 2018 Recruitment, now the candidates are revising for their SBI Clerk 2018 exam. The examination dates of Prelim Examination have also been announced. Also the exam dates of the Main Examination are known. 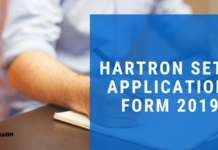 In this article, you can find all the details about the Eligibility, Examination Dates and Pattern, Vacancies, Admit Card, Result, Cutoff marks etc. Read all the details below on this page. Latest: Admit Card for SBI Clerk 2018 Mains Exam has been released, download it through the link provided below. Selection Process: Selection process will include two 0nline tests(Prelims and Mains) and test of specified opted language. Here is a chart that will help you understand the SBI Clerk 2018 Selection procedure easily. Follow it to understand the various phases of the selection process. The phases are further described on this page below. Registering online on the bank’s website, by providing valid email id and mobile number. Uploading photograph and signature and filling the application form correctly. Submitting the data filled in the application form. Lastly, payment of the application fees via online mode only. The application process is now over!! With the end of the application process of SBI Clerk 2018, the wait for the admit card/Call letter for SBI 2018 Prelims begins. It is the phase 1 of the selection Procedure. 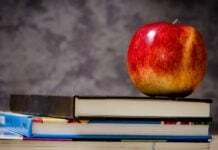 The Preliminary exam dates have been announced. The SBI Clerk 2018 Admit Card is available online for download and candidates applied for SBI Clerk 2018 Recruitment must visit the official website and download their admit cards before the last date. Candidates must note that the Admit Card for SBI Clerk 2018 Prelims and the Main Examination will not be sent as a hardcopy via Post or any other medium. It has to be downloaded from the official website only. 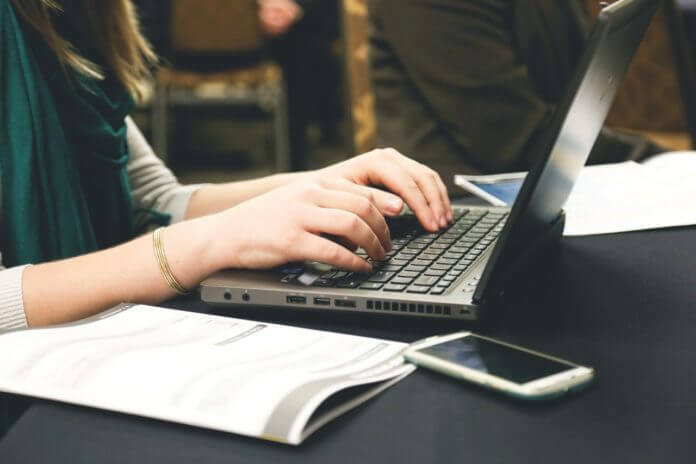 Click here to know the details of the SBI Clerk 2018 Admit Card for Prelims and download the same. An adequate number of candidates, at least 10 times the number of the vacant seats will be shortlisted for the Main Examination. Candidates who will qualify the prelims will be able to take the main examination and the admit card for the same will be available on the official website of the bank as per schedule. The candidates who will take the Prelims Examination, Phase 1 of the selection Procedure, for SBI Clerk Recruitment 2018 must make sure they are familiar with the examination pattern. Here are the details of the examination pattern and the marking scheme. After qualifying for the Phase 1 examination candidates will have to qualify the main examination, Phase 2. The Mains will be held as per schedule and will be also an online examination. Below is the Examination Pattern of SBI Clerk 2018 Main Examination. Type of Questions: Objective, except for General English Test. Marking Scheme: -1/4 for each wrong answer. The selected candidates will have to go through the Specified Opted Language Test after provisional selection but before joining. Candidates who will fail the test will be disqualified. The candidates who will qualify for selection and produce the 10th and 12th standard mark sheet/certificates as an evidence of studying in the specified opted language need not take the Specified opted language test. One, after the Prelim Examination. Check here for the details of the same. Second, after the mains examination i.e. phase 2. It will be available as per the schedule. Third, after the phase 3 i.e the specified opted language test. A final merit list will be prepared for Provisional selection and will be made available on the official website. Wait List: A wait list will be maintained. It will contain the number that will be 50% of the vacancies. This list will be released quarterly against the non-joining or Resignation of the candidates from the current batch. The wait list will be valid for a period of one year from the date of declaration of the result. The marks obtained in the Preliminary Examination (Phase 1) will not be added for the selection and only the aggregate marks obtained in the Mains (Phase 2) will be added in the preparation of the final merit list. Final Selection will be subjected to Verification of the documents and qualify the specified opted language test. The list of the provisionally qualified candidates will be made available on the bank’s website. Click Here to download the full official Notification of SBI Clerk 2018 Recruitment. 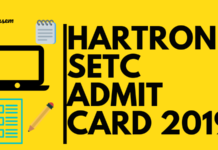 HARTRON SETC Admit Card 2019 – Get The Direct Link To Download Here!